I really enjoy learning about all the different ways that you can use watercolors to make special effects and unique textures in your work. I have experimented with the salt technique and the alcohol and water technique. This time I thought it might be fun to try the wax resist. 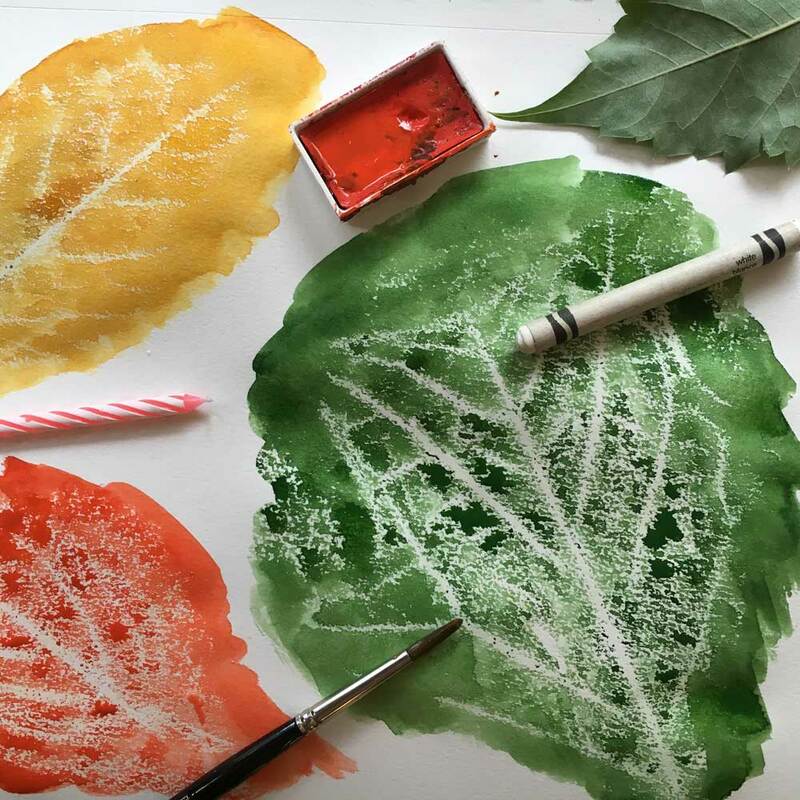 The basic concept is that you lay down some wax on your paper, paint over the wax, and the wax resists the watercolor leaving the white of the paper exposed. This technique can have some cool applications. It is great to have a lot of tools in your arsenal so that when you are trying to create a texture or a specific look in your painting you can draw on one of these special effects (Ha!, no pun intended!). For the sake of consistency and comparison, I used a star stencil to add my wax. I used a nice dark paint for the sake of contrast. You can see the wet paint start to roll off the wax. Here I tried the colorless pencil. It has a much more subtle effect than the wax crayon. I loved the effect of the birthday candle wax. Very dramatic. The white colored pencil had much the same effect as the colorless blending pencil; a more subtle look. Here is the silver crayon! You can experiment with various shades of crayons but I love the contrast of the lighter shades. Here are all the samples lined up together. In the bottom right hand corner I tried a silky crayon. It is something I bought for my kids a while back and is waxy like an oil pastel but must be water based because it just smeared all over the place. If you have an oil pastel, that would be cool to try, too. Collect some textured items from around your house or yard. For this example I chose leaves. I tried a few different papers and thinner paper worked the best. In this example I used the bristol paper which is kind of thick but flat and smooth. Take your textured item and place it underneath your paper. I put the leaf with the vein side up. Next, take your candle and lay it down on the paper and make a rubbing with the wax. Cover your wax rubbing with the paint and you see a nice texture emerge. In this next example, I tries a thinner 90lb mixed media paper. I put my candle flat against the paper. I used the reddish candle so you could see the faint lines where the wax picked up the veiny texture. Look around your house for some fun things to experiment with. I found this sand paper in the garage. The sandpaper created this cool texture! Here is a really fun idea; Write a message (see the crayon crumbles? I wrote a little message on the blank paper. Now paint over your message for the reveal! So much fun!! Send your pen pal a note and some paints in the mail to reveal your secret message! Well, I hope you enjoyed this and have some fun experimenting with this technique!